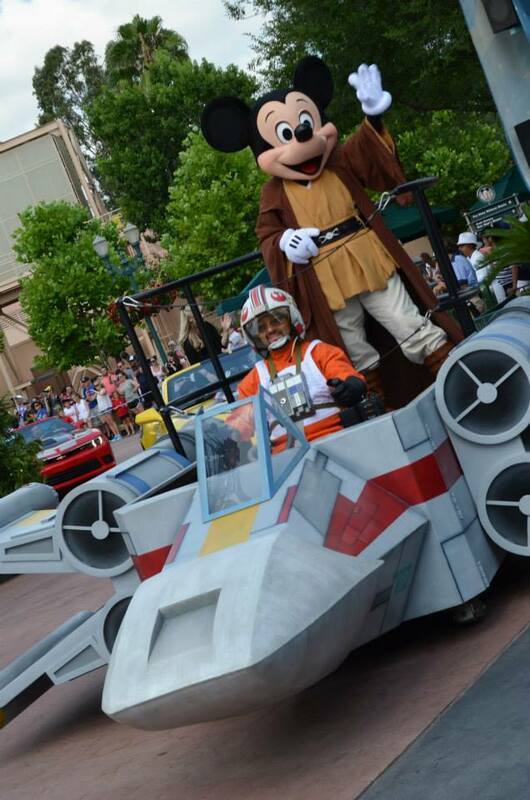 Star Wars Weekends strikes back with weekend number two at Disney's Hollywood Studios. With new celebrity guests and shows this weekend, it was definitely one not to miss! The celebrity guests this weekend were Vanessa Marshall who plays Hera in Star Wars: Rebels, Warwick Davis who portrayed Wicket the Ewok in Episode VI, and Silas Carson who played Ki-Adi Mundi as well as Nute Gunray in the prequel films. 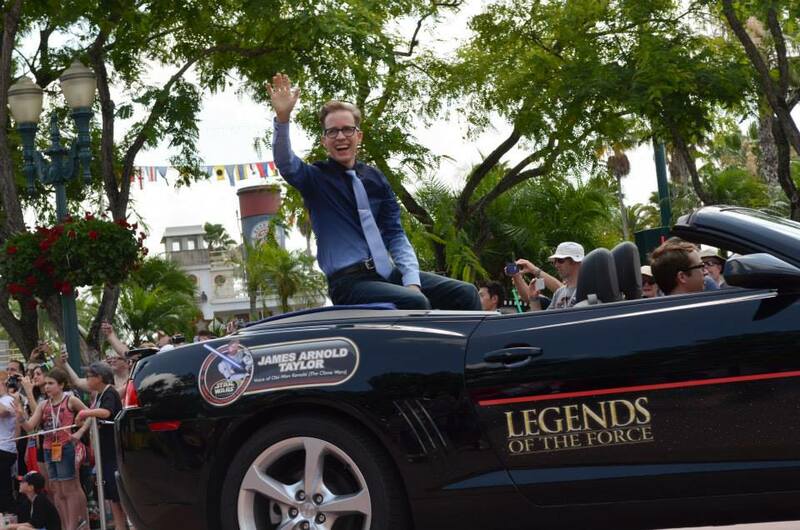 Ashley Eckstein returned for Weekend #2 and James Arnold Taylor was also in attendance as he was hosting all of the shows again. Just like Weekend #1, the celebrities were located indoors on Commissary Lane. Vanessa had 2 signing sessions each day, one at 3:00pm and another at 5:00pm. Warwick was signing 2 times a day and Silas had 3 autograph sessions every day except Sunday, which was only for 2 sessions. Ashley signed autographs every day at 12:45pm for those who had an autograph fastpass and at 3:30pm in the Her Universe boutique located in Watto's Grotto. 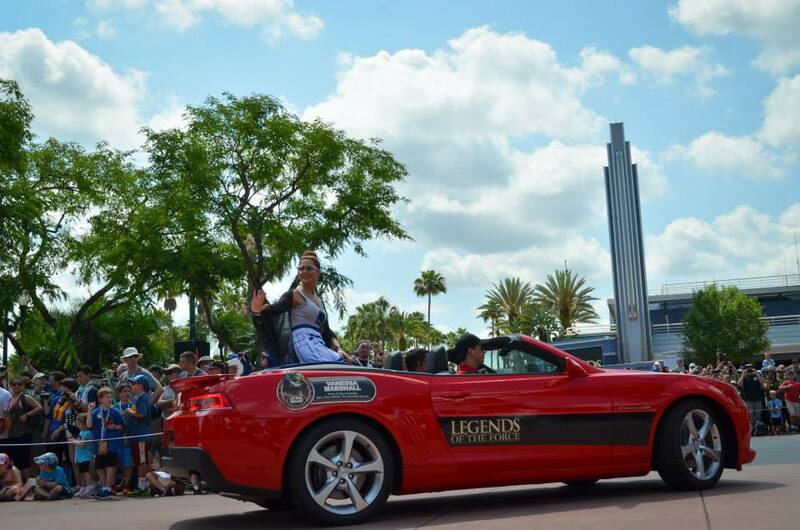 At 11:00am the celebrity motorcade kicked off with appearances by Jedi Mickey and his friends, the 501st Legion, and all of the celebrity guests for the weekend. After the stars arrived at the main stage, James announced all of the shows that would be happening at the Beauty and the Beast stage that afternoon. 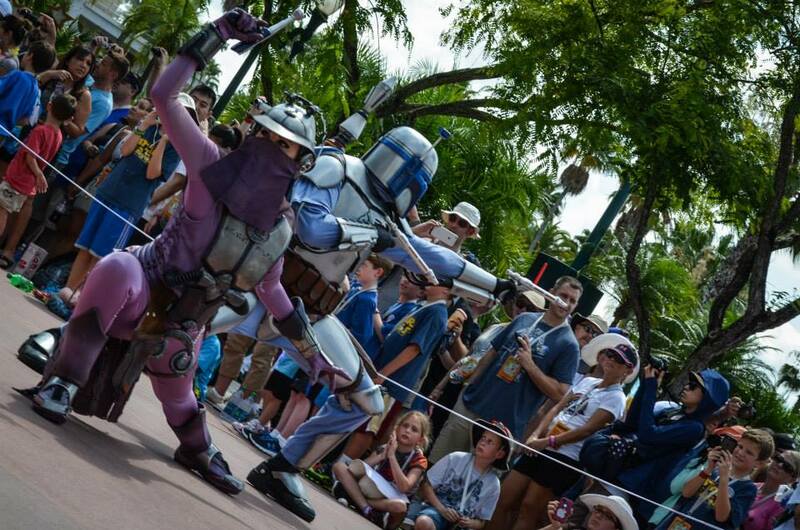 All of the stars and Star Wars characters posed for a few group pictures on stage too. The Star Wars: Rebels show returned this week at 1:45pm with James Arnold Taylor as the host and Vanessa Marshall as the guest. We all know and love Vanessa as our favorite "space mom", Hera Syndulla. The show started with a short video including some of Hera's best moments in Season 1. Vanessa told some funny stories about her fellow cast members and tidbits on the upcoming second season of Rebels. In addition to the interview with Vanessa, Chopper came out at the end of the show and transmitted a new, never before seen preview from Season 2 of Rebels. This preview was different than the clip from Weekend #1 so hopefully they will continue the pattern and show new footage every week along with the official Season 2 trailer. Warwick Davis also had a special show this weekend at 5:15pm called An Ewok Tale: My Short Story. This show is basically a one-man show where Warwick re-enacts his entire life story. Since Warwick is also a guest for Weekend #3, this show will be showing next weekend as well. Throughout the weekend, guests were talking about how nice and friendly all of the stars were. Silas Carson was especially quick about signing autographs while still making each meet and greet full of memorable moments. He was able to sign for many stand-by autograph fast passes each day which was great. The Boba Fett steins were back in stock around the park this weekend. It was also confirmed that there will be an exclusive Stormtrooper pin available for purchase on Weekend #5. TSO will be back next weekend with full coverage of Weekend #3! Stay tuned.